Bethesda, MD (August 16, 2018) - The International Wheat Genome Sequencing Consortium (IWGSC) published Aug. 16 in the international journal Science a detailed description of the genome of bread wheat, the world’s most widely cultivated crop. This work will pave the way for the production of wheat varieties better adapted to climate challenges, with higher yields, enhanced nutritional quality, and improved sustainability. The research article – authored by more than 200 scientists from 73 research institutions in 20 countries – presents the reference genome of the bread wheat variety Chinese Spring. The DNA sequence ordered along the 21 wheat chromosomes is the highest quality genome sequence produced to date for wheat. It is the result of 13 years of collaborative international research. To meet future demands of a projected world population of 9.6 billion by 2050, wheat productivity needs to increase by 1.6 per cent each year. In order to preserve biodiversity, water, and nutrient resources, the majority of this increase has to be achieved via crop and trait improvement on land currently cultivated rather than committing new land to cultivation. With the reference genome sequence now completed, breeders have at their disposal new tools to address these challenges. 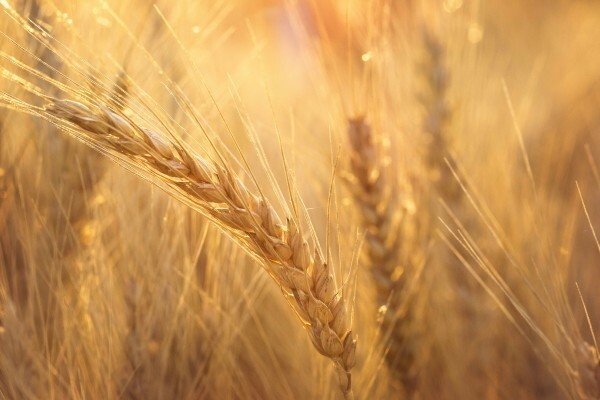 They will be able to identify more rapidly genes and regulatory elements underlying complex agronomic traits such as yield, grain quality, resistance to fungal diseases, and tolerance to abiotic stress – and produce hardier wheat varieties. Sequencing the bread wheat genome was long considered an impossible task, due to its enormous size – five times larger than the human genome – and complexity – bread wheat has three sub-genomes and more than 85% of the genome is composed of repeated elements. The impact of the wheat reference sequence has already been significant in the scientific community, as exemplified by the publication on the same date of six additional publications describing and using the reference sequence resource, one appearing in the same issue of Science, one in Science Advances and four in Genome Biology. Moreover, more than 100 publications referencing the reference sequence have been published since the resource was made available to the scientific community in January 2017. 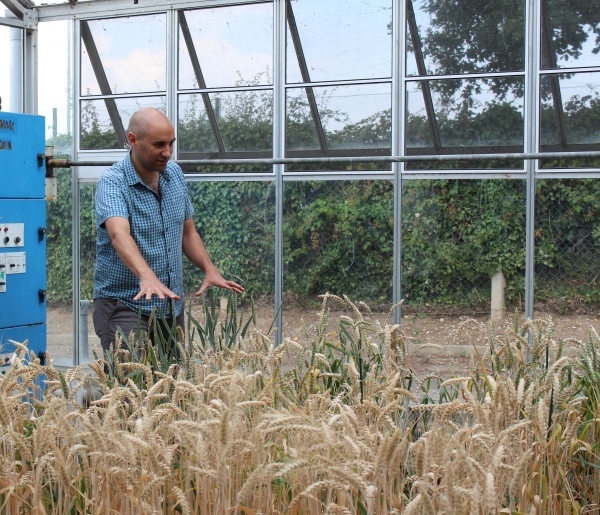 Norwich, UK (August 16, 2018) - The complete sequence of the huge wheat genome is published Thursday, and the enormous dataset will accelerate innovation in breeding resilient and disease resistant crops to feed a growing global population. 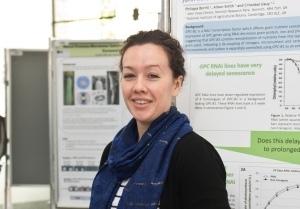 A paper published in Science by the International Wheat Genome Sequencing Consortium is authored by more than 200 scientists from 73 research institutions in 20 countries, including the John Innes Centre. It details the sequence of the 21 chromosomes, the precise location of 107,891 genes and more than 4 million molecular markers, as well as sequence information between the genes containing the regulatory elements influencing the expression of genes. A University of Saskatchewan (U of S)-led research team has played a key role in an international discovery that will have an impact on the food security of millions of people around the world — the sequencing of the billion-piece jigsaw puzzle that is the bread wheat genome. Saskatoon, SK (August 16, 2018) - The journal Science published on Aug. 16 the highest quality genome sequence produced to date for the bread wheat variety Chinese Spring. This was long considered an almost impossible task — the wheat genome is five times larger than the human genome and more complex — but also a critically important one in an era of climate change. Wheat is the world’s most widely cultivated crop, accounting for 20% of all calories consumed throughout the world. For the past 13 years, more than 200 scientists from 73 research institutions in 20 countries have been endeavouring, through the International Wheat Genome Sequencing Consortium (IWGSC), to complete the genome sequence for bread wheat and make publicly available the new genomic assembly for breeders seeking to develop improved varieties. “With funding from a range of partners and cutting-edge sequencing technology from our industrial partner NRGene, our research team at the U of S played a key role in the international consortium’s success, a discovery that has the potential for disruptive innovation in wheat improvement,” says Curtis Pozniak, researcher and wheat breeder at the Crop Development Centre in the U of S College of Agriculture and Bioresources. 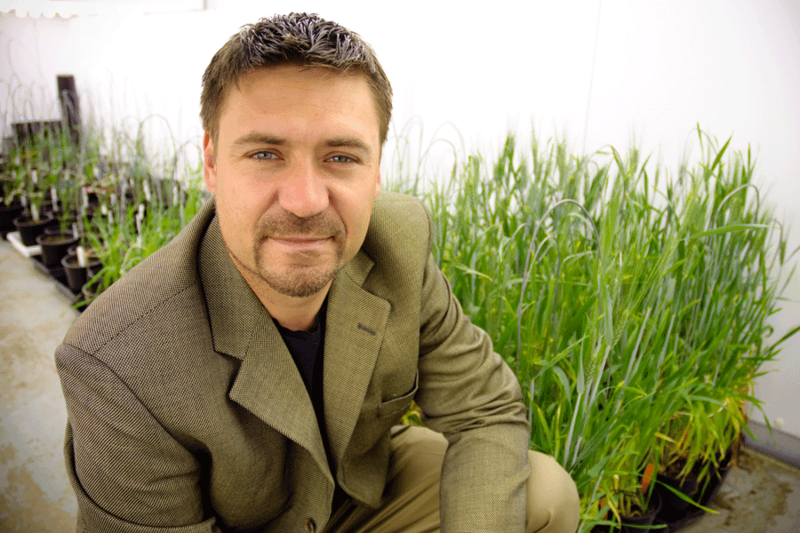 Pozniak leads Canada’s contribution to the IWGSC-led wheat genome initiative through the Canadian Triticum Applied Genomics (CTAG2) project, which also includes scientists from the National Research Council, Agriculture and Agri-Food Canada (AAFC), the University of Guelph, and the University of Regina. “The new genome assembly provides a chromosome-by-chromosome representation rather than the fractured picture available previously and will elevate wheat research and breeding to a level equal to, or even better than, other major crops,” says Andrew Sharpe, director of Genomics and Bioinformatics at the U of S Global Institute for Food Security (GIFS) and co-lead for the CTAG2 project. In Canada, wheat accounts for more than $4.5 billion in annual sales and, when value-added processing is factored in, contributes more than $11 billion each year to the Canadian economy. With the world’s population expected to reach 9.6 billion by 2050, Maurice Moloney, executive-director of GIFS at the U of S, said this discovery will have a major impact on global food security. U of S Vice-President Research Karen Chad says agriculture is a signature area of U of S research and the discovery highlights the importance of international research collaboration. 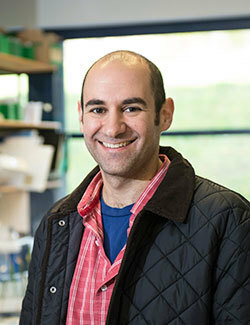 The new sequence produced using NRGene’s technology was the backbone of the IWGSC genome assembly. This work was funded by Genome Canada, Genome Prairie, Western Grains Research Foundation, Saskatchewan Ministry of Agriculture via the CTAG2 project, the Saskatchewan Wheat Development Commission, the Alberta Wheat Commission, and the Canada First Research Excellence Fund through the Designing Crops for Global Food Security initiative at the U of S.
A number of international partners also contributed to the effort, including researchers at IPK Gatersleben in Germany, Kansas State University in the U.S., Tel Aviv University in Israel, and Illumina Inc.
“With the support of the University of Saskatchewan and its Global Institute for Food Security, NRGene delivered the assembly of the whole genome from start to finish in just three months, a remarkable computational feat given the complexity of the wheat genome,” says NRGene CEO Gil Ronen. The Science article is entitled Shifting the limits in wheat research and breeding using a fully annotated reference genome and can be read here. The U of S-led team also contributed to a second related Science article led by the U.K.-based John Innes Centre and published Aug. 16 entitled The transcriptional landscape of polyploid wheat that describes the repertoire of expressed genes in the new wheat genome sequence and can be read here. The next step for the U of S team will be to initiate a larger-scale international initiative to sequence the more than 10 cultivated wheat varieties from the main growing areas across the globe. The 10+ Wheat Genomes Project, started last year and led by Pozniak, is using the same NRGene technology to sequence the genomes. Sequencing for several varieties is already complete. More information can be found at: www.10wheatgenomes.com. The sun rises on a Kansas State University wheat plot in Manhattan. Manhattan, KS (August 16, 2018) — Kansas State University scientists, in collaboration with the International Wheat Genome Sequencing Consortium, published Aug. 16 in the international journal Science a detailed description of the complete genome of bread wheat, the world's most widely-cultivated crop. This work will pave the way for the production of wheat varieties better adapted to climate challenges, with higher yields, enhanced nutritional quality and improved sustainability. The article is titled "Shifting the limits in wheat research and breeding using a fully annotated reference genome." "It is a dream come true for Kansas wheat farmers, who were the first to invest in the wheat genome sequencing project and were pivotal in rallying U.S. wheat farmers in support of the wheat genome sequencing project," said Bikram Gill, distinguished professor emeritus of plant pathology at Kansas State University who organized the first National Science Foundation and U.S. Department of Agriculture-sponsored workshop planning meeting on wheat genome sequencing in Washington, D.C., in 2003. "Completion of the sequence is a landmark event that will serve as a critical foundation for future wheat improvement," said Allan Fritz, Kansas State University professor of agronomy and wheat breeder. "It is the key to allowing efficient, real-time integration of relevant genetics, making the selection process more efficient — it's a turbocharger for wheat breeding." 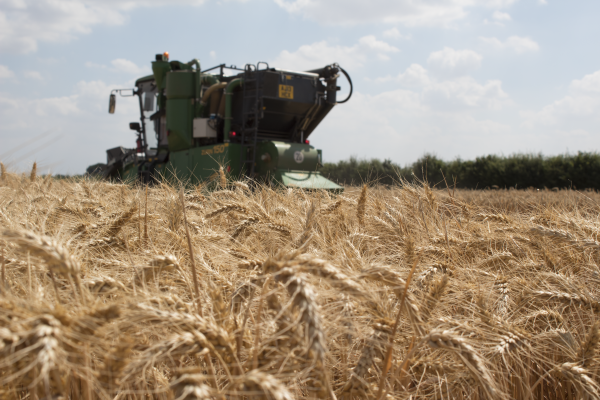 "Kansas wheat farmers have been supporting the wheat genome sequencing efforts through the Kansas Wheat Commission's wheat assessment since the establishment of the International Wheat Genome Sequencing Consortium in 2005, with a cumulative amount of nearly a quarter of a million dollars," said Justin Gilpin, chief executive officer for Kansas Wheat. "The sequence of the bread wheat genome has already had a positive effect on wheat improvement, which not only affects the science behind wheat breeding, but has a long-lasting positive outcome in regard to wheat producer productivity, profitability and, ultimately, livelihoods." "It is exciting to be a part of this landmark achievement," said Jesse Poland, associate professor at Kansas State University and director of the Wheat Genetics Resource Center and the U.S. Agency for International Development Innovation Lab for Applied Wheat Genomics. "This international effort, toward something that was once deemed impossible, will have tremendous impact on wheat in Kansas, and the world." "We are extensively using the new reference sequence for more informed molecular breeding," Poland said. "It is really having a big impact."